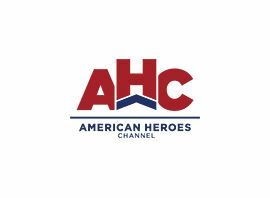 Many of the programs featured on American Heroes Channel are war documentaries, the contents of which deal in large part with modern warfare, and in particular the U.S. military from World War II onward. While the A+E Networks-owned History, Military History and H2 air similar programming, those networks tend to show more programs about other time periods and cultures (ancient, Roman, Medieval, Eastern, and other forms of warfare). AHC has a more contemporary subject matter than those competitors, but it occasionally presents historical programming as well. Actor Dennis Haysbert serves as the network´s continuity announcer for its on-air promotions. In addition, the channel also presents feature films with a military theme (usually within the hosted movie series An Officer and a Movie, which is hosted by Lou Diamond Phillips), as well as individual episodes of other shows (such as Belly of the Beast, Build It Bigger, Extreme Machines, Timewatch and Unsolved History), which incorporate military-related content. These are often shows that were produced for other Discovery Communications-owned channels.